Not too long ago John and I ventured out of our circle of comfort to explore a new style of quick-serve restaurant, Belly Shack, that features Asian fusion. Everything we tried was great, but what really stood out were these Brussels Sprouts with Chorizo. They are beyond easy to make when you have the right ingredients. Be sure if when you make them you use fresh chorizo sausage and not the hard style. Our local grocer even makes a chicken chorizo now, what a treat when we’re trying to watch our calories! All amounts are approximations. This recipe is ideal for adding a little more or a little less of any ingredient to make it taste just right for your preferences. Fresh Lime Juice – make sure it’s a HEALTHY amount. I usually use 2-3 limes! DO NOT skip this part!! It’s the UMAMI of this recipe! What a great dish….lime and chorizo…love it! 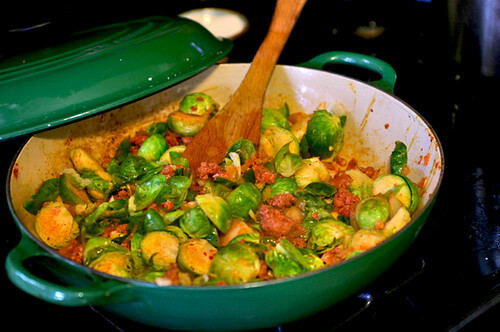 Alright, with the addition of chorizo, you might make me try brussel spouts again! 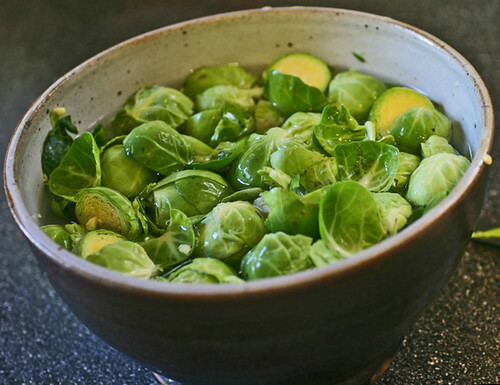 I will have to try this…we have started eating brussel sprouts more often and maybe I can get my last doubter to try them by adding chorizo….. This recipe looks delicious! 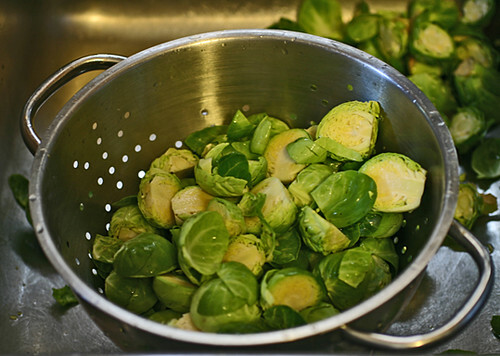 I used to dislike Brussels Sprouts. My Mother used to serve them steamed with just butter. Since trying them, in recent years, with other additions…..especially crispy bacon……I LOVE them. The Chirizo and lime sound delicious. I’ll be making this soon! Ooh, and lime juice? Whoa, this is a crazy recipe, I must try.